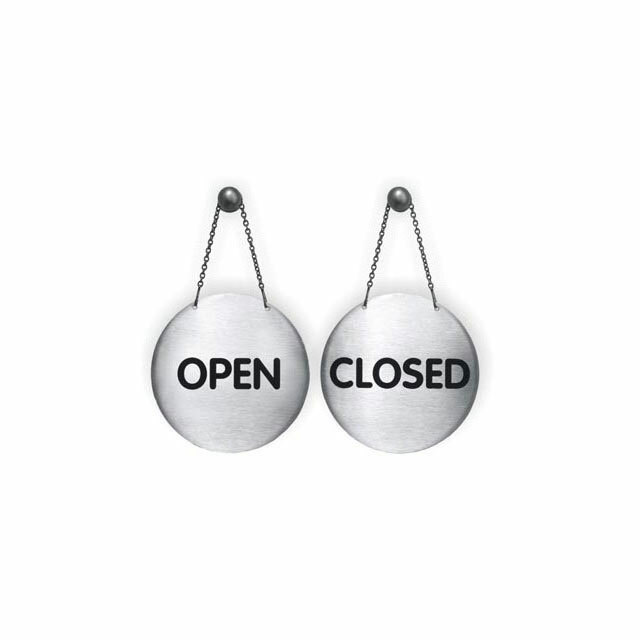 OPEN/CLOSE Sign for your shop door. 13cm in Diameter, round shape in stainless steel with black printing. Double sided with small hanging chain.